From the cover of the Then and Now programme. This exhibition of East Meon history was held in 1973 as part of the fund-raising for the new Village Hall. 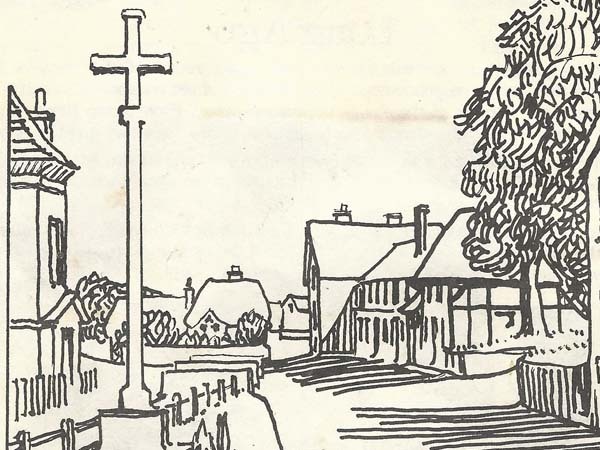 A full account by Joan Grigsby for the Hampshire Magazine can be seen in the East Meon History website, click here.